Pimpama's largest new community, Gainsborough Greens, has finalised its 1000th sale, as the area is named Australia's top property 'hotspot' by the nation's peak housing industry body. The masterplanned residential project, being developed by publicly-listed group, Mirvac, next to the Gainsborough Greens Golf Club in the northern Gold Coast, has posted $275 million in sales since it was officially launched to the market in 2011. It continues to hit new sales highs, with more than 150 homesites, totalling $41 million of deposits taken this year alone, prompting new stages of land to be continually brought forward just to meet demand. The milestone comes as the Housing Industry Association (HIA) names Pimpama as Australia's fastest growing housing market in its 'Population and Residential Building Hotspots 2017' report, based on population growth and residential building activity. Mirvac Queensland Residential General Manager, Warwick Bible, said the high demand for property in Gainsborough Greens, one of the largest masterplanned communities underway on the Gold Coast, was driven by a number of factors. "Buyers can build a brand new home in Gainsborough Greens for less than it would cost to purchase an older-style home, which may require renovation, in the central Gold Coast, just a few minutes drive south," Mr Bible said. "Considering recent figures from CoreLogic revealed the median house price on the Gold Coast had hit a record high of $600,000 in the 12 months to December, the starting price for house and land at Gainsborough Greens, which is currently $482,910, offers great value. "There are also significant benefits that come with building a new home, such as the ability to choose the design and layout that best suits your lifestyle, including the latest fittings and finishes. 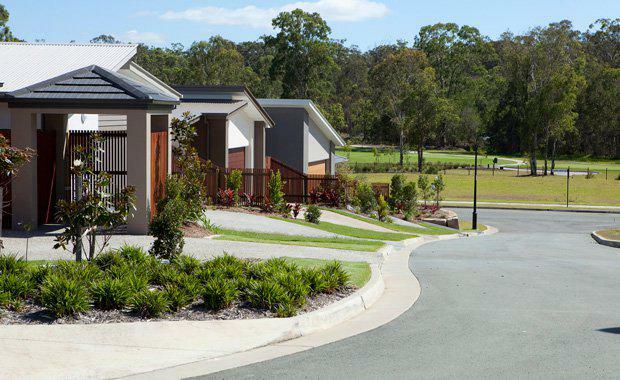 "Mr Bible said the design of Gainsborough Greens and the location in Pimpama added to the appeal, with the community attracting a range of buyers, from first home buyers through to upgraders and empty nesters. "A lot of purchasers comment on the green leafy surroundings and the community atmosphere at Gainsborough Greens, both of which we have significantly invested in," he said. "Around 65 per cent of the community is dedicated to green open space, including parks and natural bushland reserve, and we have a regular calendar of events for all our residents, and the broader community, to enjoy. "The location, with quick access to the motorway, also makes commuting to both the Gold Coast and Brisbane CBDs easy, and the ever-expanding array of infrastructure in the area, including some of the city's newest schools and shopping villages, adds to the lifestyle for residents. "Homesites at Gainsborough Greens are priced from $246,000.